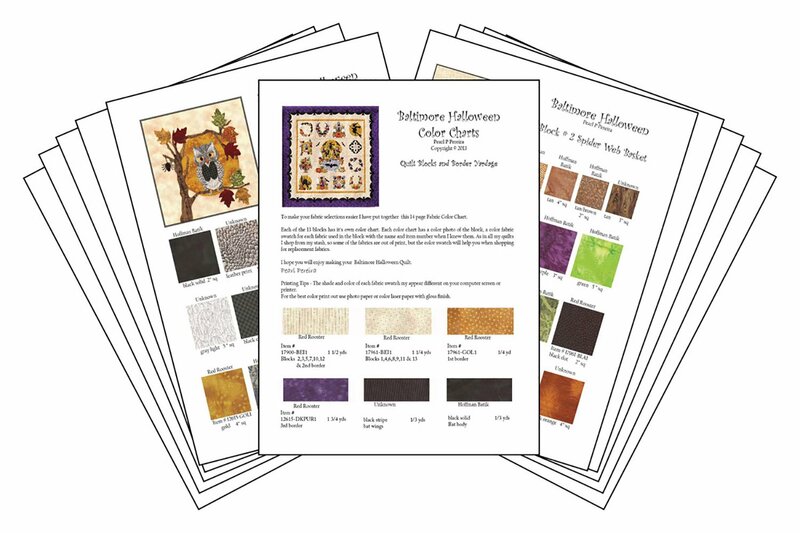 To make your fabric selections easier I have put together this 14 page Fabric Color Chart. Each of the 13 blocks has it’s own color chart. Each color chart has a color photo of the block, a color fabric swatch for each fabric used in the block with the name and item number when I knew them. As in all my quilts I shop from my stash, so some of the fabrics are out of print, but the color swatch will help you when shopping for replacement fabrics.